A fire that broke out at the diesel-electric icebreaker Viktor Chernomyrdin in St. Petersburg will not delay its construction deadlines, and the ship is scheduled to enter service in the summer of 2019, the press service of the Admiralty Shipyard told RIA Novosti. "The fire will not delay construction deadlines, and we are proceeding right on schedule. The icebreaker is to enter service in the summer of 2019," a source said. A fire started at about 7 pm on November 27, destroying a 300 square meter area of the unfinished diesel-electric icebreaker's third and fourth decks. Firefighters contained the blaze at 9.10 pm Moscow Time and extinguished it by 10.15 pm. One worker suffered hand and body burns and was taken to the intensive care unit of the Janelidze Research Institute of Emergency Medicine. Police are investigating the cause of the fire. According to preliminary reports, it was caused by work-safety violations. 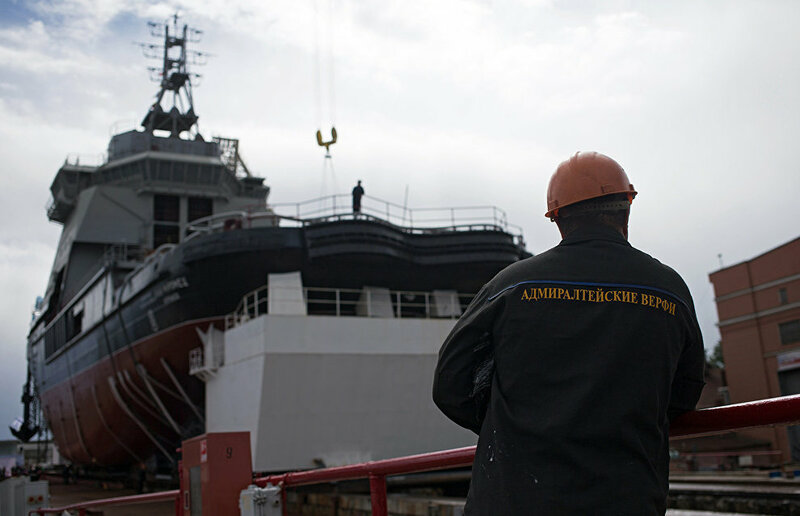 The ship's inner shell, wiring and electrical equipment were damaged as a result, incurring over 1.5 million rubles in losses.